Log into your account or create a free account. Click “Don’t require shipping” if you want to pick up the gifts from the store. Leave the box unchecked if you want the items to be shipped to you or to the purchaser. Add items to your wish list. Search for a specific title, or browse children's nonfiction or fiction books. When you get to the item you want, click “Add to Wish List” and it will be added to your registry. Alternatively, you can shop for your wish list in person at our stores, and we can add them to the list for you ourselves. 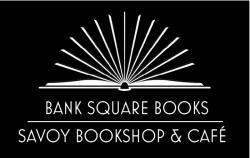 Email events@mysticbooksinc.com and we’ll make an appointment for you to shop with one of our children's booksellers, who are great at recommending their favorite titles. When you’ve finished your registry, go to the Wish List page again and click “Email Your Wishlist.” Send an email to yourself and copy the link at the bottom of the email. Give that link to your friends and family, and they can purchase books for you!